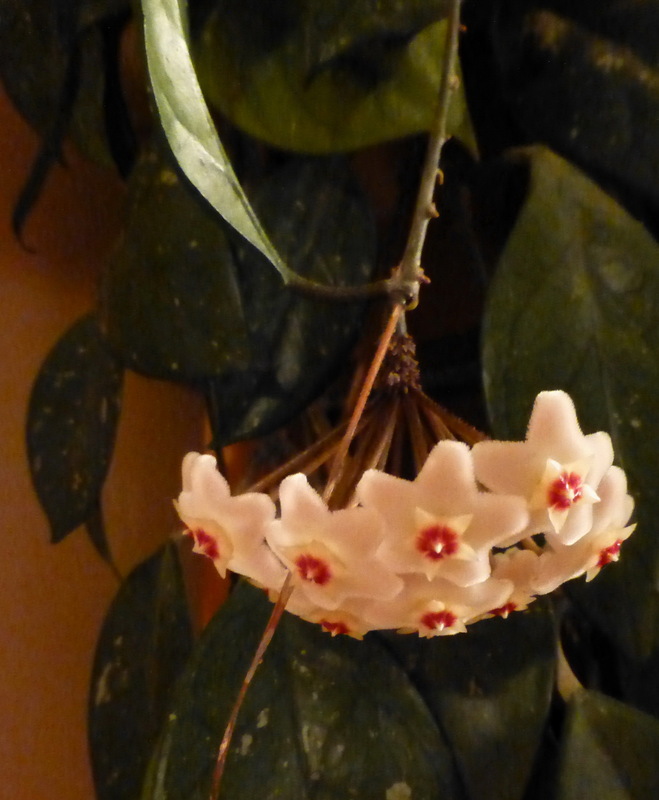 The timing is perfect, as my hoya plant is now in bloom (and, as usual, I was alerted by the scent when I was up alone in the middle of the night). When I was a kid, my parents had a hoya plant for years before it finally blossomed. My mom thought my dad had tied some plastic flowers to the plant to play a joke on her.